So, your day started on a dull note and you just don’t feel like doing anything. Yes, it happens to all of us and rather than having that downward curve on your lips, there are some things that are fun, easy and an absolute must try. Whether it is hanging out with your friends or play rummy online, these wow-worthy hacks can brighten up an otherwise dull day! It is an open secret, slowly getting recognized all over the world, that regular practice of Yoga keeps one physically and mentally fit. When a person can keep his mind fit, no distress can make his life miserable. He can face any situation no matter how disastrous it turns out to be with ease. Yoga has such a calming influence that everyday becomes a tension-free day to those who practice it. A Yoga practitioner can therefore dictate as to how his/her day needs to be. Basically, people work tirelessly day in and day out for the wellbeing of their respective families. Every family member would like to see the others in the family happy. So, nothing can brighten up our spirit like interacting happily with family members or friends and having fun with them. When you find even a little bit of time in between your daily routine, make sure you interact with your loved ones and see to that they are happy always. By doing so, the day does not open brightly for you alone! Those people, who are unable to learn Yoga, can instead choose to jog or walk for an hour or so continuously which can refresh their minds. While doing so, you can even wear headsets listening to melodious music which can keep you further energised. But while doing so, choose a place like an empty ground or a park and not a busy street or road so that you do not breathe polluted air in the process. There is one more advantage which can accrue when you do this exercise. You may frequently be meeting regular joggers with whom you may develop new friendship some of which can come handy in your life. In India, frequenting tea shops every morning has become a serious hobby for many. An hour spent on roadside tea shops can totally ignite the minds of the people who visit. Gossiping is not generally advisable, but a tea shop gossip is worth it, as it is done just for fun without any malicious intent! The gossips are generally about what they read in newspaper and what they infer out of the news that they come across. In addition to it, the music played in Radio in the tea shops also spurs up the otherwise distressed minds of the people. So, who is your favourite? Indravadan Sarabhai, Joey Tribbiani or Sheldon Cooper? Laugh with them and brighten up your mood instantly. Human body releases endorphins while laughing, which help you feel more relaxed both physically and emotionally! Not for no reason do people call laughter is called the best medicine. In fact, if you do not find time in doing exercises regularly, keep a time allotted for laughter, even if it meaningless! Last but not the least, if you have an internet pack in your mobile phones you can play games 24×7 online. Let us take online Rummy for example. It is the most happening thing in India right now. There are so many websites in India to play rummy online for real money. Notable among them are RummyCircle, Ace2three, etc. which also offer free rummy download to play on your phone. Rummy lovers are becoming more passionate about online Rummy games day by day. These Rummy games are not just played to spend the idle time. In fact, Rummy hones your skills and improves your personality. 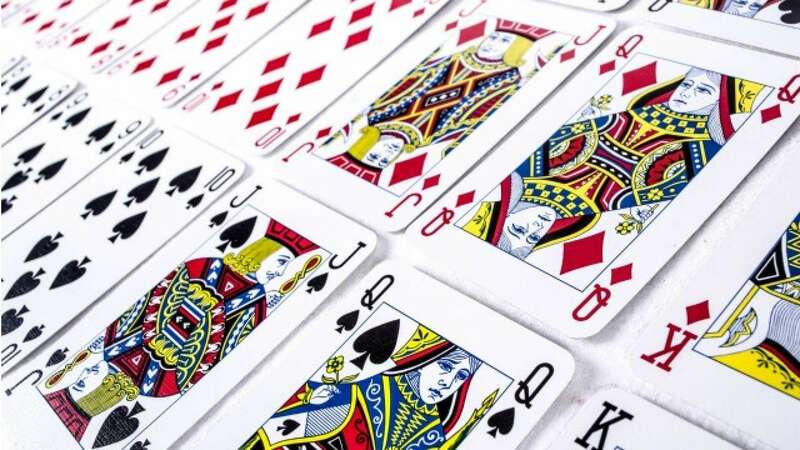 So next time when you feel you have a tough day ahead, as you wake up thinking of the commitments, make sure you play a game or two of online Rummy which will certainly give a much-needed boost to face them smilingly.